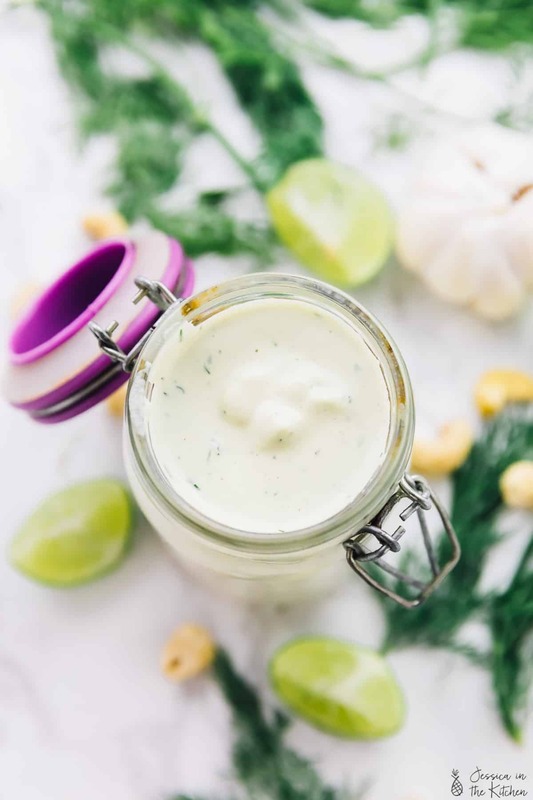 This Vegan Ranch Dressing tastes as tangy and is just as creamy as your favourite regular ranch dressing!! It’s oil-free, dairy free and really pumps up a salad! 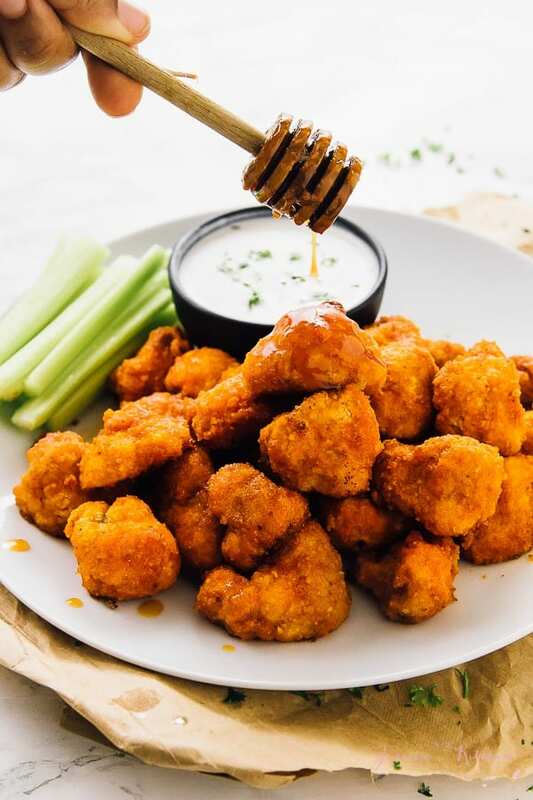 Ever since posting my buffalo cauliflower wings, besides “yum! !” the comment I get the most is “what’s the recipe for that white sauce? ?” The “white sauce” is vegan ranch dressing and I usually buy a good organic brand that I love. Until I realised that you guys *really* wanted a recipe for it, so I created one! Vegan Ranch Dressing is unbelievably tasty. 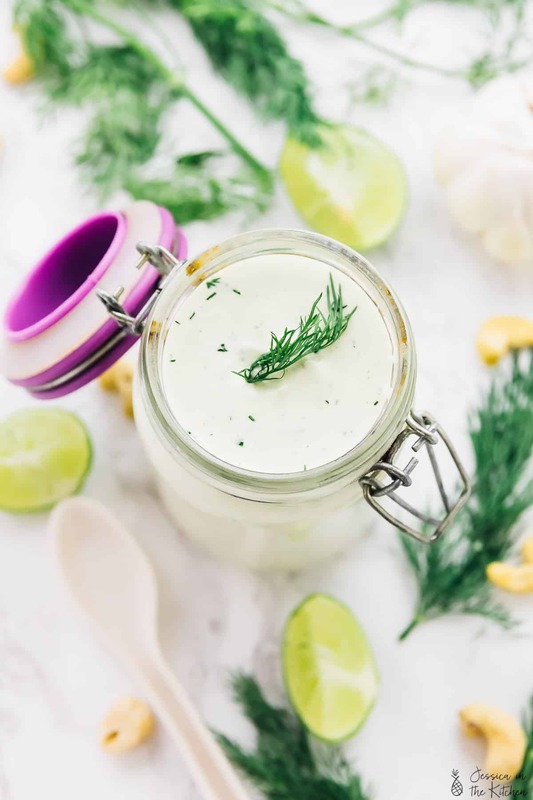 It has that tangy flavour that is exactly like regular ranch dressing. It drips like store-bought dressing. It’s also SO easy to make, which I love. Garlic – garlic is amazing in everything! Black pepper and sea salt – perfect for bringing out and balancing natural flavours. Feel free to add more salt by the pinch if you need to bring out yours a bit more, since all seasonings vary just a bit. Also, feel free to add some additional seasonings. 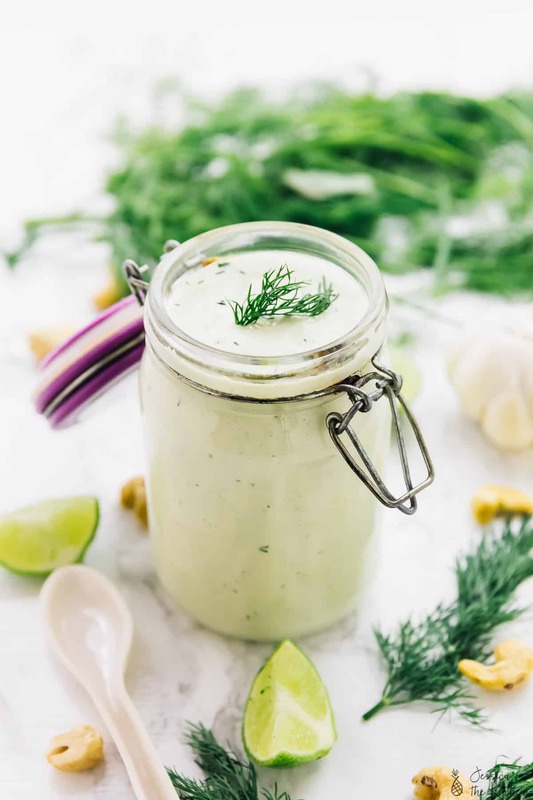 Some people love to add cayenne pepper or paprika or hot sauce to their ranch dressing. Go ahead and do it! P.S. if you’re using a high speed blender, then your ingredients can get really blended. Case in point, my dill *really* blended in causing a slight green hue. Really slight. It created an immediate flavour though, which was #worthit. If you want something pure white though, go ahead and just fold in the finely chopped dill and allow it to marinade for a couple of hours. You’re good either way, friend. I hope you try this on everything and enjoy! I’m making a new salad recipe that I can’t wait to bring to you that this will taste SO divine on! In a high speed blender, blend all the ingredients together until blended and completely creamy and incorporated. You can use your blender’s dressing setting or blend for at least 2 minutes or until blended. NOTE: the dill may turn it a slight light green hue, so you can always fold this in afterwards finely chopped. Taste and add more salt or lime/lemon juice if necessary. Add more water if you want it runnier . 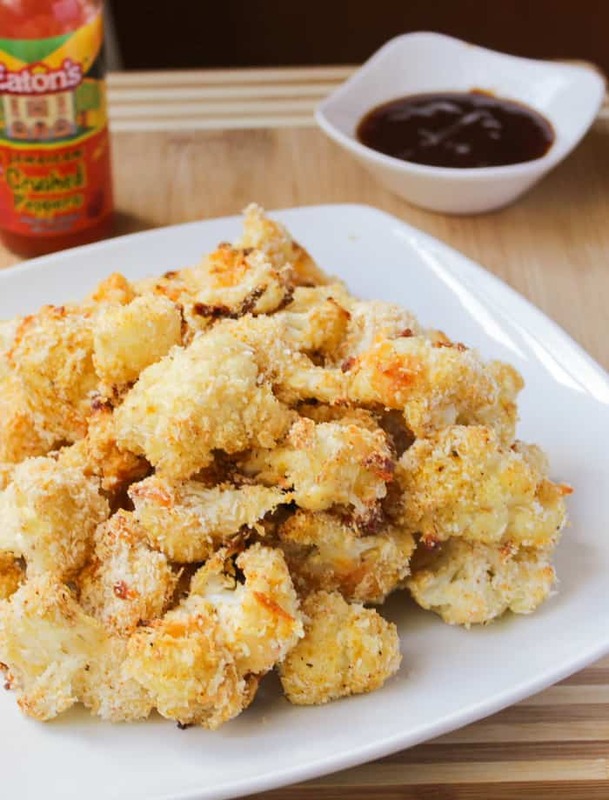 Serve on salads, with buffalo cauliflower wings or on veggie burgers. Store it in the fridge for about a week. Before serving on salad, allow it to sit out of the fridge for about 15 minutes first since it can thicken up if you want it runny. Wow, looks amazing. Can’t wait to try this ! Great we’re glad you like it! A great base for adaptations to make it just what you want. I added more lemon and used a green onion instead of the chives because I couldn’t find my dried chives. I would definitely make this again, and can see adding some hot pepper sauce in some cases, some parsley in others, just whatever you want. Thanks for a great recipe! Looks like you really made this recipe your own Vivian! Thank you for leaving such a kind comment! Thank you adi. We appreciate this. This dressing is amazing!! Thank you so much for including how long it lasts and that it thickens up in the fridge. I was getting worried it had gone bad when I made a double batch and it had only been a couple of days. Really, thank you for this. Thanks so much Geena! We’re happy that our instructions were helpful to you! 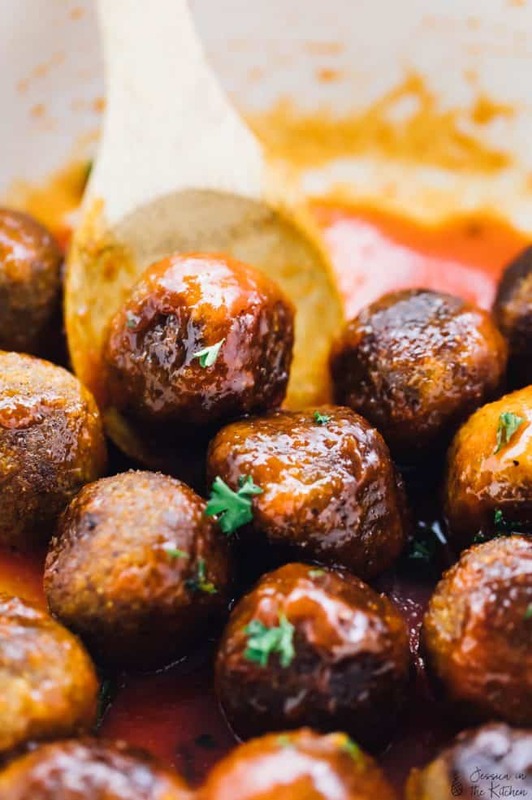 Do I use raw cashews to make this recipe? Please advise. Thank you. Hi Ron, yes you do! Raw, unsalted cashews.